Our team has given the Build Overview tool on our mobile App a welcome boost, so now you can enjoy even faster loading times. Not only does our App allow you to access your projects wherever you are, but now you can get to where you need to go even quicker! Time on site can be as precious as anything when you have multiple projects to manage and direct, and we know how frustrating delays and hold-ups are. Because of this we strive to ensure RaveBuild moves and operates like it should, at a quick and responsive pace, whilst all changes and adjustments are updated at real time through our cloud-based system. As part of our recent update, the Build Overview now has quicker load times thanks to some reprogramming and an adjustment to the Project Images section. Project images now load as thumbnails, until you need a better look, resulting in faster loading times and less data usage. So, how will these updates help you and your team? Let’s say a project manager is on the site of one of their most important projects. Everything seems to be tracking along nicely. Then they receive a call from the client of another build, and they need to quickly access this project’s information. 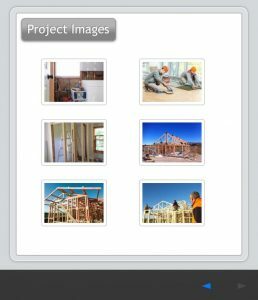 With the RaveBuild smart phone or tablet App, they are able to check in on any project at any time, the Build Overview updates allows them to pull up this project’s details easily and more quickly access the build details. Contractors also have faster access to all of the details they need – this means less downtime and less calls to the project manager for project details and schedule information. Want to know more about the Build Overview and how it saves you time? All relevant project information can be found in one place – the Build Overview. This includes the Site address, Council information, Compliance #s and more. Specific information that you want contractors and suppliers to be aware of can be included in the Notes section. Because the Build Overview is a feature often used by contractors and suppliers, the faster load times should further improve engagement, meaning more time-saving opportunities for you and them on each project! Photo’s uploaded to the project images folder, are also displayed in the Build Overview, adding a visual element to each project. The project’s schedule is just one click away, providing quick access to the current tasks and stage of your build in real time. RaveBuild should save project managers at least 2 hours per week, per project – the improvements made to the Build Overview will help to ensure you can take full advantage of these time-savings!